Tucked under the hills Mihiwaka and Mopanui near Waitati, Orokonui Ecosanctuary is one of the newest jewels in Dunedin's crown. Its 307 hectares are girdled by a predator-proof fence that keep nasties like rats, cats and stoats away from our treasured native wildlife. Introduced forest species like kaka parrots, saddlebacks and robins are thriving here, and local residents like tomtits and fernbirds are benefiting from the protection afforded by the fence. 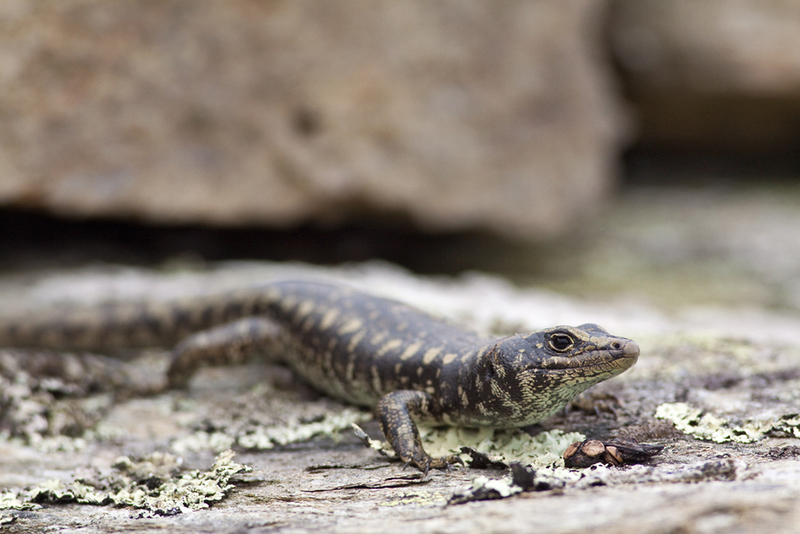 Native reptiles are represented by jewelled geckos and Otago skinks, which can be seen sunning themselves in their outdoor enclosure near the tuatara pen. Budding photographers who start with the skinks will pretty soon be investigated by a pair of turkey-sized takahe which cruise around the area, close to their food and water supply. See more at http://www.orokonui.org.nz.